In honor of the 2014 Oscars coming this weekend – here are the nominees and winners of the First Annual Adoption at the Movies Awards. The AATM Awards were initially published in the November/December 2013 issue of Foster Focus Magazine. Now, courtesy of Foster Focus, here they are for your enjoyment! I've also linked each movie title to the Adoption Movie Guide, so feel free to click over to as many of them as you like. Adoption has shown up widely in cinemas over the last twelve or so months. From explicitly adoption-related movies like The Odd Life of Timothy Green to films where adoption is just a fact of life, like Despicable Me 2, to films where struggles connected to adoptive parenthood fuel major plot points – Pacific Rim – it’s very possible to go to the movies as a family and leave with something important to talk about. Some movies cover adoption overtly, some are more of a stretch to fit through my filter. Some are very positive and affirming. Others have the potential to do harm. But almost every movie can be used to some good. That’s why I write the adoption movie reviews – I know that movies can be an easily-accessible bridge into important conversations. I’ll be highlighting some of the very best movies of the past year or so (anything released since 2012 is fair game, and this article was written in September 2013 - so late '13 releases will have to wait until next year). I’ll also highlight a couple dishonorable mentions, and highlight a couple older movies that deserve special recognition. So, consider this a long list of movie recommendations. Fire up your Netflix queue, and get the popcorn popping. To honor the Oscars – Please enjoy the first ever “Adoption at the Movies” awards! 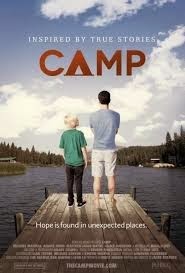 CAMP: Eli is brought into foster care when his mother dies of a drug overdose. He is initially placed into a group home. Shortly afterwards, Eli is able to attend a summer camp intended to help foster kids form relationships with caring adults. Eli is assigned to Ken, a counselor who cares more about money than about kids. However, Ken eventually learns to care for Eli. He becomes trustworthy, and Eli becomes able to trust. Eli’s father is eventually arrested, and it becomes apparent that Eli will need an adoptive family. Because of the relationship they built at camp, Ken becomes a likely resource for Eli. Like Journey to Jamaa, Camp does a fine job of introducing a lesser-known way to help kids. Closure: In this independent documentary, filmmaker Bryan Tucker chronicles the journey of her wife, Angela, as she seeks to reunify with her birth family. Angela was adopted from foster care through a closed adoption, but she has been able to discover the identity and location of her birthfather. Through him, she meets the rest of her family. Angela is initially met with varying degrees of acceptance but she chooses not to be disconsolate. Angela eventually comes to understand the story – her story – of being adopted. She regains some of the relationships that had been lost. And she is supported by her adoptive family throughout the whole journey. 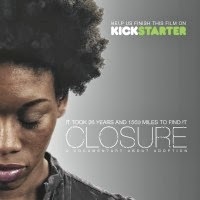 Closure validates the rights of adoptees to seek out and learn their whole stories, and does it in a palatable way. First Comes Love: 40-year-old filmmaker Nina Davenport took time to reassess her life. She was single, had no prospects for marriage, and wanted to be a parent. Nina convinced one of her friends to be a sperm donor. This HBO documentary chronicles Nina’s journey, from deciding to pursue fertility treatments, to undergoing the rigorous preparations that will be familiar to many families who’ve dealt with infertility, to birthing and raising her child. 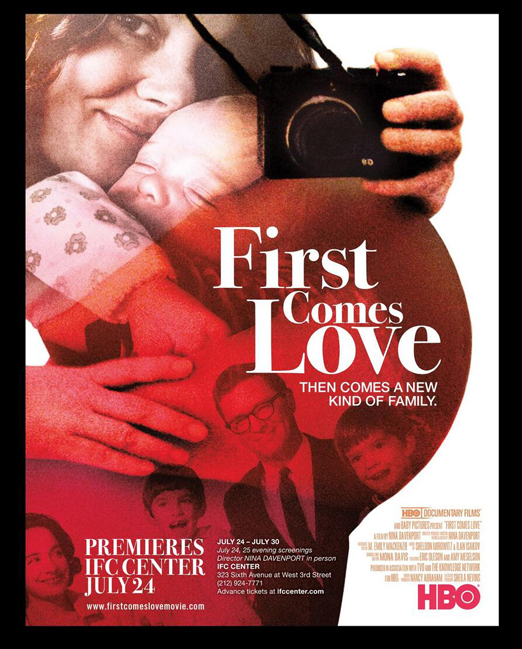 First Comes Love is a very interesting look at one woman’s path to parenthood. Many prospective adoptive parents have also considered or pursued infertility treatments, and so much in this documentary may resonate with them. Also, Nina’s film captures the different reactions she receives from various friends and family members and her efforts to define the relationship between her son and his biological family. There are certainly some adoption connections, and one particularly sage piece of advice. A friend tells her, “Nina – your concerns about pursuing parenthood are logistical. But your desire to parent comes from a place of love.” It helped her sort out her fears. It might be helpful to others, too. 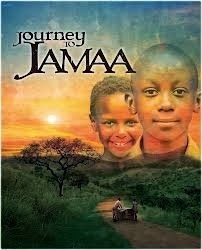 Journey to Jamaa: In this short film, Derick and Margaret are orphaned when their mother dies of an infectious disease. They travel through their country to reach the home of their uncle, Samuel, escaping from an opportunistic child-labor boss along the way. When Derick and Margaret reach Samuel’s home, he is initially unwilling to take them in, fearing that he will not be able to provide for them and for his own children, and wondering if they might be carriers of the infectious disease that killed their mother. Samuel eventually decides that, with the help of a local child sponsorship organization, he will be able to fulfill his responsibility to his nephew and niece. Journey to Jamaa shows an innovative way to help children in need; while international adoption is sometimes a child’s path into a happy life, in many cases it is possible for children to remain with members of their extended family. Journey to Jamaa gets points for highlighting an important and largely non-intrusive way to help children in need. 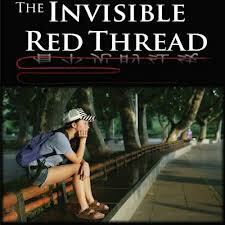 The Invisible Red Thread: Vivian was adopted from China in the mid 1990’s. Now, as a teenager, she finds that she has questions about the life that she might have had. Supported by her family, and accompanied by her father, Vivian returns to China and spends time with a girl who was adopted about the same time as Vivian, but raised in China. This documentary is fascinating as it shows both the differences in adoption between various cultures as well as Vivian’s reaction to the differences between the life she has in Canada, and the life she may have had in China. Like Closure, The Invisible Red Thread legitimizes an adoptee’s right to get answers to their questions and to have access to their story and history, and it does it in a realistic, likeable way. This category highlights the range of ways that families can help children – through child sponsorship, camp counsellorship, or open adoptions. These films and documentaries also shine windows into people going through a range of experiences – fertility treatments, seeking out birth family members, seeking out an understanding of culture of origin, dealing with loss, adjusting to being in foster care. Any of these films could be helpful to prospective adoptive parents, and most could be helpful to kids – especially if adults watch the films and let themselves be challenged to think about the many ways in which they could help. Each of these films is worth seeing. But for now, the award goes to Closure. The need for adoptive families to understand an adoptee’s right to openness is huge. In foster care, it’s often easy for adoptive parents – and social workers – to dismiss openness because of actual or assumed facts about the birthfamily. But Angela Tucker’s story presents the need, the method, and a good result of an adult adoptee trying to reunify with her birthfamily. The reunification doesn’t undo her adoptive family, but it does bring closure and healing to some parts of her life. Definitely worth seeing. 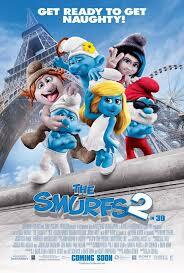 The Smurfs 2: Smurfette was more or less adopted into the Smurf community by Papa Smurf. She was created by the evil wizard Gargamel, and was born as a grayish “Noughty.” However, Papa Smurf made her good, turned her blue, and dubbed her a Smurf. She worries about not fitting in to the Smurf community, and has nightmares about being revealed to still be a Noughty after all. It’s reasonable to expect that a child adopted from foster care might have struggles belonging to two families at once. They might even have negative impressions of their birth family. They sometimes have nightmares about being kidnapped by their birthfamily. A helpful movie would have Papa Smurf telling Smurfette, “You can be both Noughty and Smurf. There are strengths to each side of you. As a Noughty, you are powerful and creative. As a Smurf, you are kind and warm.” But instead, Smurfette is kidnapped by Gargamel, and both the Noughties and the Smurfs seem to believe that Smurfette can only be one – not both. Papa Smurf tells her that it doesn’t matter where she came from, only who she chooses to be. Smurfette is put in the difficult situation of being forced to choose one family and to betray the other – or at least, that’s how everyone in the film seems to view it. This creates a dualism that is often imposed on kids in real life, but which is harmful and often drawn from adults’ insecurities. The Big Wedding: Ellie and Don Griffen adopted Alejandro from Colombia years ago. Now that Alejandro is getting married, his birthmother Madonna and birthsister Nuria are flying in for the event. However, this poses a problem. Ellie and Don are divorced, and Alejandro fears how the devoutly Catholic Madonna will respond when she learns this. Throughout the film, we see that many secrets are kept. The secrets drive the plot and are used for humorous effect, but the film seems to endorse the keeping of secrets rather than ultimately showing the benefit of open communication. Even though the film does affirm, over and over again, that Alejandro is part of Ellie and Don’s family even though they are divorced, the good of that message was overweighed for me by the problem of secrecy. While we’re focusing on newer films with direct adoption themes, I want to take a moment to present three Special Mention awards. When I started writing at Adoption at the Movies a year ago, I wanted to focus on films that had direct ties to adoption. Along the way, the site expanded to cover new cinematic releases and documentaries. This has been a good move. But there are some older films, and some not-really-adoption-related films that have come across my screen in the past year that deserve special recognition. These Special Mention films are certainly worth seeing and thinking about. 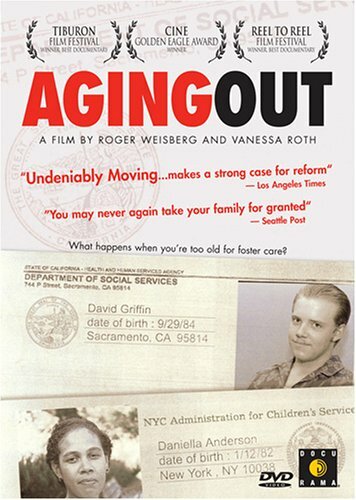 Aging Out: This 2004 PBS-released documentary chronicles the journeys of three teens as they age out of foster care. One appears positioned to be relatively successful. One seems directionless. One dies in traumatic circumstances. Aging Out powerfully highlights the need for adoptive parents and mentors for teens in foster care, and it also provides hope that, in spite of statistics, teens can succeed after aging out of foster care. 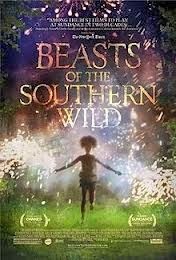 Beasts of the Southern Wild: This gripping 2012 film tells the story five-year-old Hushpuppy, her ailing and ill-tempered father Wink, and the other citizens of her bayou community. At one point, the community is subjected to a mandatory evacuation order. The order is done for their safety – the bayou has become an unsafe neighborhood. However, the order also removes scores of people from their homes and uproots them from their stable lives. Beasts of the Southern Wild is commendable for showing the pain unintentionally caused by mandatory help. This line of thinking is particularly salient to social workers, foster parents, and other professionals in the foster care community – part of our job is to offer mandatory help to children, but we need to be careful to remain aware of the pain that comes to our clients, along with the hoped-for healing. The Odd Life of Timothy Green: Jim and Cindy Green have struggled with infertility. They do a surprisingly healthy job of processing their grief, and then are surprised by the arrival of a ten-or-so year-old boy. They try to encourage him to keep his history a secret but Timothy works against it and finds community by telling his story. 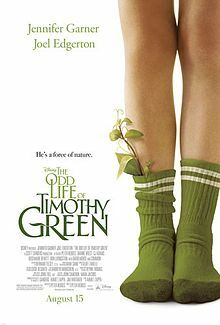 The Odd Life of Timothy Green succeeds where The Big Wedding faltered. And now– which mainstream movie in the last twelve months earns top awards for being helpful to adoptive families? 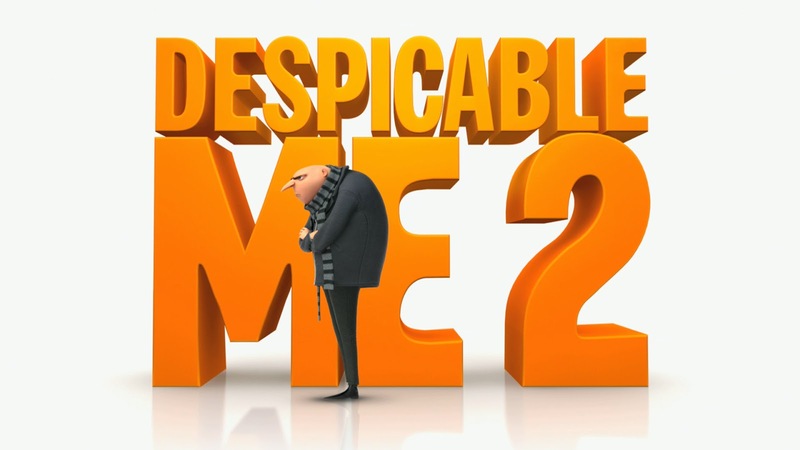 Despicable Me 2: Former super-villain Gru has reformed. He has changed from his first-movie selfishness into being a caring, loving father. His three daughters have adjusted to their adoption, and life has become somewhat normal. This is encouraging for families! One of Gru’s daughters is sad when a school project requires her to talk about her mother – she feels that she does not have one. Plenty of conversation topics in this one, and overall, a happy story. 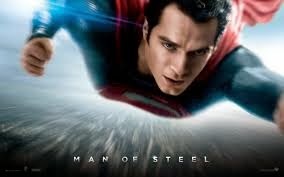 Man of Steel: Kal-El’s parents are faced with the fact that their home has become very dangerous. They make the hard decision to send their son to a far-away place in order to ensure his safety. There, Kal-El is given a new name. He struggles with questions of identity and people in his new community vary in their acceptances of his differences. This film provides ways for families to talk about why a parent might choose to relinquish their child for adoption, how an adopted person might find it difficult to feel a sense of “fitting in” to their community, and to affirm a child’s uniqueness as positive. Clark eventually accepts his new, human identity. This film might help explain that, although adoptees often don’t have a choice about which family they belong to, they ultimately do have the choice of whether to accept their family. Admission: Portia Nathan relinquished a child for adoption many years ago. A friend named John believes that he has found her son, and he tries to connect them with each other. It turns out that John’s hunch is incorrect, and Portia’s pain is palpable. However, through John’s intervention, Portia does decide to reach out to her son. She sends him a letter through their adoption agency, and waits to hear back from him. Although he is not yet ready to meet her, Portia feels a sense of relief that she has reached out. Like The Odd Life of Timothy Green, Admission does portray the shame created by secrecy and the healing that comes when secrecy is defeated. Also, John is a positive, single adoptive father. John, Despicable Me’s Gru, and Martian Child’s David Gordon are three of very few positive, cinematic single adoptive dads. Admission deserves credit on multiple counts. Identity Thief: Diana was dropped off at a police station as an infant, with no identifying information. She lived her whole childhood in foster care, staying with six families and bearing six different names. As an adult, she has become an identity thief. One of her victims manages to look past her behaviors, grasp her pain, and see her good qualities and inherent worth. He invests in her. Although she goes to prison for her crimes, he visits her and even helps her uncover her identity. She finally finds a sense of family in him. 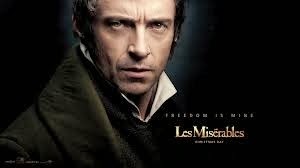 Les Miserables: As Fantine dies, Jean Valjean promises to take care of her daughter, Cosette. He rescues her from what is more or less an abusive, informal foster care situation and raises her as his own daughter. His actions towards her are selfless, yet he refuses to divulge his past to her – he has been mistreated and over-punished for minor criminal acts, and continues to be on the run from an overzealous law officer. Cosette never learns Valjean’s secret, and it seems that his refusal to tell her his background causes her pain. Nevertheless, Valjean is a noble adoptive father. Pacific Rim: Army commander Stacker Pentecost took in an endangered, orphaned girl many years ago. Now that she is grown, she wishes to enter the war that orphaned her to gain revenge for her family. Stacker still feels a drive to protect her, and because of this he has been unable to grant her independence. 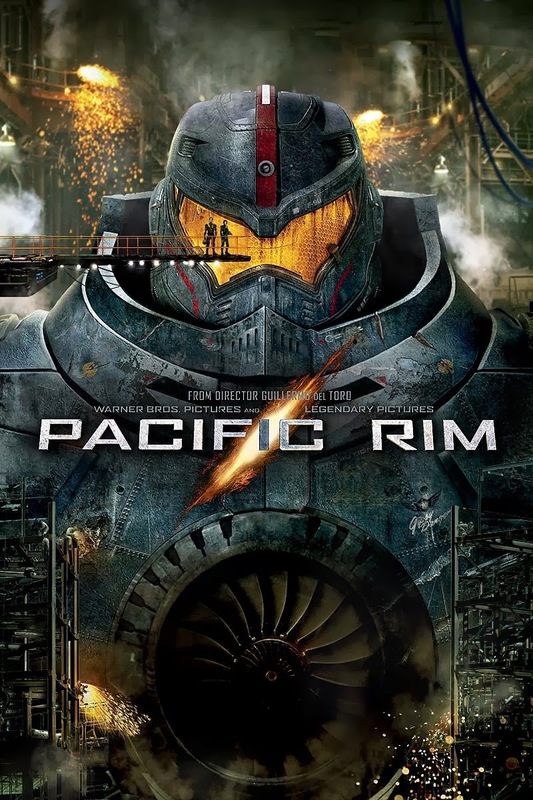 Pacific Rim doesn’t seem to be particularly deep on the surface, but parents who have adopted from foster care might find a surprising challenge in the film. How do you respond when your child’s need for protection is replaced by a need for independence? All six nominees are thought-provoking films. Four of them feature single adoptive dads (Gru, John, Valjean, and Stacker), perhaps suggesting a trend towards accepting a still often-questioned demographic. Several of them show the pain caused by secrecy. Several raise interesting questions. The two films that struggle for the top spot are Admission (for John’s strong example of adoptive fatherhood and for Portia’s journey from shame to healing), and Man of Steel (for Clark’s journey towards accepting both parts of his identity, and the love and support shown by both his birth and adoptive families.) Man of Steel plays to a bigger audience and does so with some powerful, healthy conversations. Mr. Kent: You are my son, but you have another father who gave you another name, and he sent you here for a reason, and you owe it to yourself to find out what that reason is. Mrs. Kent: The truth about you is beautiful. We knew that from the moment we laid eyes on you. 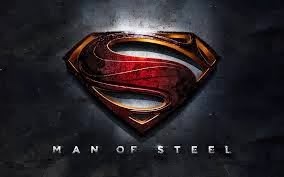 Congratulations to MAN OF STEEL for taking the year’s top honor. How many of these have you seen? Which movies did I forget? Where did I miss the mark? Where was I spot on? What movies win YOUR awards? This is fantastic! Thank you so much, both for the list of films and for your thoughtful analysis. My 11 year old son has not seen Man of Steel, but now I will make sure we watch it together. Thanks Judy! It made my day to get your comment :) I hope your son loves Man of Steel! This is awesome! Thank you for sharing your perspective and the whole list. There's quite a few I haven't seen and will be now. At some point in your post you asked about our favorite adoption themed movies or ones that could create harm. Well, the one I absolutely hated from the adoption perspective (the horror perspective was bang on) was Orphan. That movie (I remember a fight to keep it from coming out too) would most definitely scare people who were considering adoption from the foster care/group home system, but more so from adoption altogether. Hi Kelly! Thanks so much for your comment. I'd love to know which films you end up seeing :) Thanks for sharing your favorite and least favorite films, too! I haven't seen Orphan (though the trailers made me think it would probably have some adoption problems.) I really loved Martian Child (you remembered the name right!) I actually reviewed it a while ago on this site. http://www.adoptionlcsw.com/2013/05/adoption-movie-guide-martian-child.html - The scene on the building ledge is one of he most powerful scenes I've seen, where John Cusack's character says, basically, "I love you, and I will never, ever stop loving you." Good stuff! Hi Addison, do you have any recommendations of movies to show adoption (in a positive way, of course) for young kids. We are starting our first international adoption, and our 6 year old is very hot/cold about the idea, partly because it is hard for her to "get". We are wondering if there are some good movies that show what adoption is that are appropriate for young ones? (we also have a 4 year old) Thanks! Chimpanzee - this is a Disney Nature film, and there is some violence and sadness, but one chimp is adopted by another. Despicable Me 2 - Gru is a good adoptive dad to his three girls. Choose Your Own Adventure: The Abominable Snowman - A set of siblings, connected by adoption, travel the world together. Bonus points for being "choose your own adventure." Meet the Robinsons - kids in an orphanage wait to be adopted; adoption is shown as hopefully. Kung Fu Panda 1 and 2 - Po, a panda, was adopted by Mr. Ping, a goose. Disney's Tarzan - Tarzan is adopted by a gorilla. Please do check the reviews out ahead of time to help you pick the ones that will be the best fit for your kids, and please let me know how it goes! Hi Addison, well in the month since I read your article I have watched Admission, Despicable Me 2, and Identity Thief. I found Admission to be quite poignant in it's portrayal of the sadness and shame a birth mother feels when making her hardest decision of her life. Even though it was a comedy, I found myself tearing up with Tina Fey a lot of the time. 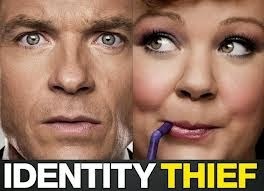 Identity Thief had me laughing out loud. The whole adoption theme, I felt, was a little bit lost in parts of the movie and possibly being to blame for the way "Diana" turned out. But...I very much loved the ending where she is in prison for her crimes but finds out who she really is and thanks her "family" for loving her and standing by her no matter what she does. Now on to the next set of movies. :) Thank you again for your list. Thanks so much for this comment! It makes my day! Now that I'm doing this site, I'm surprised how many films are directly related to adoption and many of them are quite positive; I wonder if it's always been this way, or if this has been a recent trend.